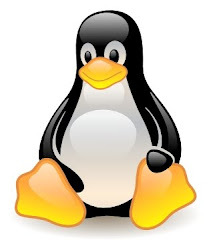 Linux kernel has improved memory subsystem, with which administrators now have a simple interface to fine-tune the swapping behavior of the kernel. The linux kernel tunable parameter vm.swappiness (/proc/sys/vm/swappiness) can be used to define how aggressively memory pages are swapped to disk. Linux moves memory pages that have not been accessed for some time to the swap space even if there is enough free memory available. By changing the percentage in /proc/sys/vm/swappiness you can control the swapping behavior, depending on the system configuration. A high swappiness value means that the kernel will be more apt to unmap mapped pages. A low swappiness value means the opposite, the kernel will be less apt to unmap mapped pages. In other words, the higher the vm.swappiness value, the more the system will swap. vm.swappiness takes a value between 0 and 100 to change the balance between swapping applications and freeing cache. At 100, the kernel will always prefer to find inactive pages and swap them out; in other cases, whether a swapout occurs depends on how much application memory is in use and how poorly the cache is doing at finding and releasing inactive items. Systems with memory constraints that run batch jobs (processes that sleeps for long time) might benefit from an aggressive swapping behavior. Tuning the Linux memory subsystem is a tough task that requires constant monitoring to ensure that changes do not negatively affect other components in the server. If you do choose to modify the virtual memory parameters (in /proc/sys/vm), change only one parameter at a time and monitor how the server performs.